Our Heavy Duty PWC Yamaha mount designed for heavy duty applications such as increased horsepower, rough water and ocean riding. Stronger the OEM mount, yet able to dampen and isolate vibration. 27-7310 mount fits Yamaha SUV VXR VXR Pro GP1200 GP760 GP800 Wave Raider 700 Wave Runner III Wave Riader 1100 Venture 1100 Waverunner 500 VXR 650 LX, Waver Runner 701/650 XL1200 XL700 XL760 XL800 XLT800. 27-7313 mount fits Yamaha FX 1000 FX 1100 FX 1800 FX 140 FX Cruiser FZR FZS GP1300 V1 1100 VX 1100 05-09 VXR 1800 VXS 1800. 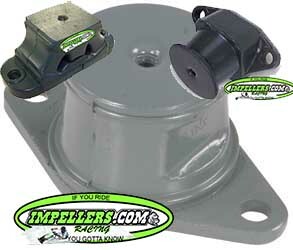 27-7316 motor mount fits Yamaha FX701 Wave Blaster.